Total War: Rome II has seen a huge number of patches and fixes over the year or so since its release, the most recent; Emperor Edition makes some sweeping changes and adds a whole new campaign. Having spent some time directing Antony’s Legions into the maelstrom of civil war that is the Mediterranean, I fully recommended watching both seasons of HBO’s Rome before you play. 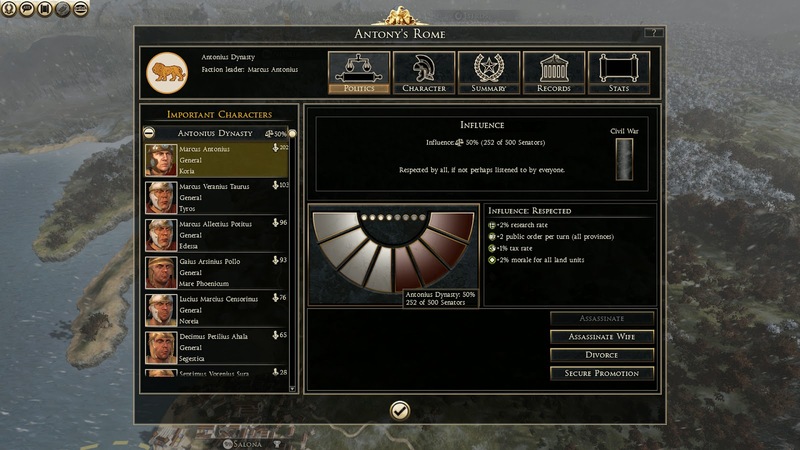 The Emperor Edition is a free update to Total War: Rome II, which includes all of the free downloadable content that has been released thus far, in addition to the new, Imperator Augustus Campaign and a host of other fixes and improvements. The Imperator Augustus campaign is the largest campaign to be added to Rome II, using the entire original campaign map – Caesar in Gaul and Hannibal at the Gates only used smaller snippets of the ancient Mediterranean. Imperator Augustus takes place after Caesar’s death, in the time of the second triumvirate, with the lands of Rome divided up between its members (and Sextus Pompey). Gaius Octavian, Caesar’s great-nephew and sole heir to his legacy, holds Gaul and Italy. Marc Antony, the late Caesar’s loyal general, rules over the east; Greece, Illyria, Asia Minor and all the eastern client states, including Egypt. Lepidus, though lacking quite the accolades and ambition of the others in the triumvirate, controls Hispania and Africa. The forth Roman power is Sextus Pompey, son of the famed Pompey Magnus, the friend and later rival of Caesar, holds only the islands of Sicily, Corsica and Sardinia. Unfortunately, you cannot play as new Roman factions in custom battles by default, of course modders have already seen to that. The Steam Workshop mod, Roman Factions Unlocked – Custom Battle – Emperor Edition¸ will unlock all four factions and allow you to play out those Rome-on-Rome battles that Rome II was sorely lacking. In addition to the new campaign, Emperor Edition heralds further patching, most notably a remodelling of the politics and civil war mechanics, as well as changes and additions to the campaign building system. The new interface showing your political standing. The politics systems of Rome II always felt somewhat ambiguous; political actions were expensive and it never truly felt like you were gaining anything tangible from them, and civil wars were only ever a threat once per campaign. These issues have been addressed and the politics system as a whole has changed, becoming much more meaningful and better illustrated. The power of your political party now as palpable effects, in terms of army morale, public order and research. Of course such power will lead to civil wars, perhaps multiple times – meaning politics do not cease to be a concern after your first civil war, like they used to. The cost of political actions has been reduced and the benefits of such actions increased, for example; gaining political promotion for a character now has better bonuses and increases gravitas gain – crucial for gaining power. 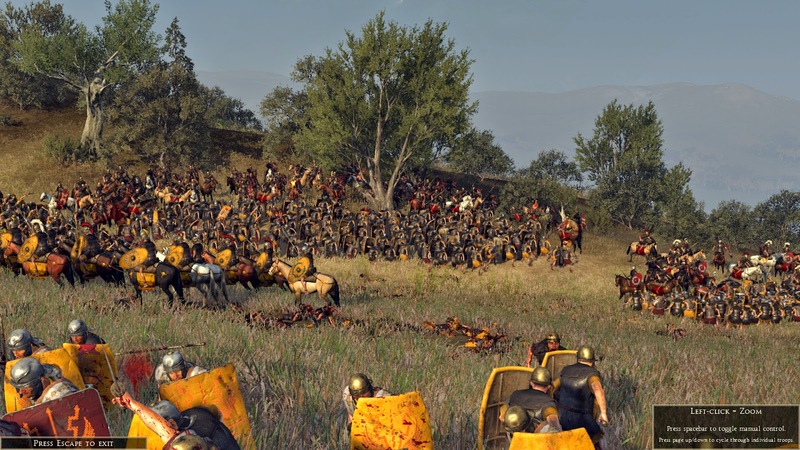 Naturally, there are a huge amount of other improvements and fixes, all of which can be found in detail on the official Total War Wiki, here. This weekend Total War: Rome II - Emperor Edition is free to download and play on Steam, with huge sales on older Total War titles. Creative Assembly also announced a new Total War game yesterday, Total War: Attila, naturally set in the time of The Scourge of God, Attila the Hun and the fall of the Roman Empire. Due to release in 2015, you can find the teaser below.